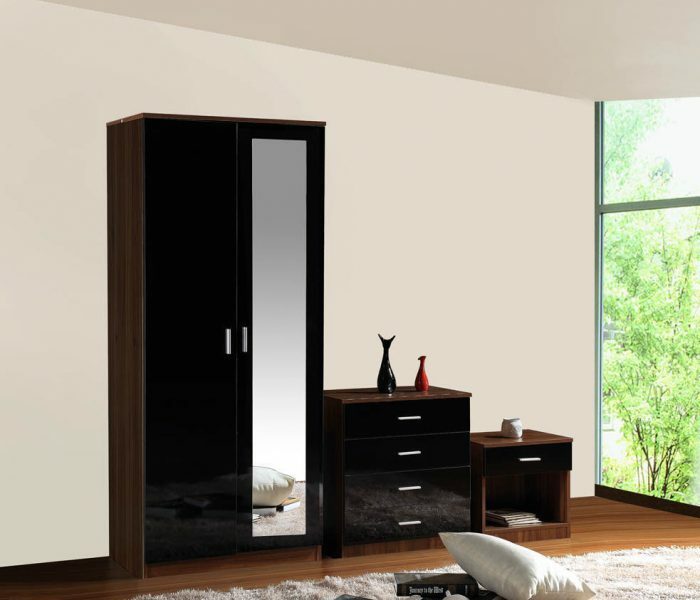 This high quality bedroom furniture range is a great addition to any bedroom, with its stylish high gloss finish and simple design. 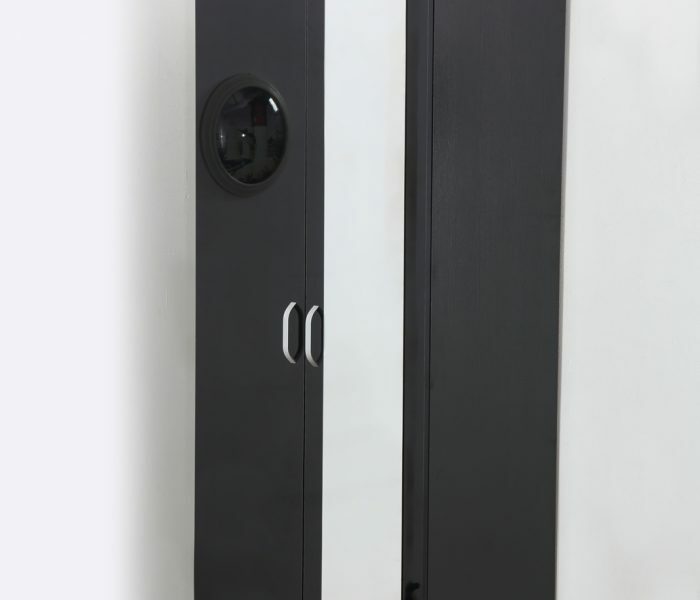 Manufactured from high grade chipboard with authentic wood / matt effect, with soft closed doors and mirror on the wardrobe this will give a luxury high end look to your bedroom. 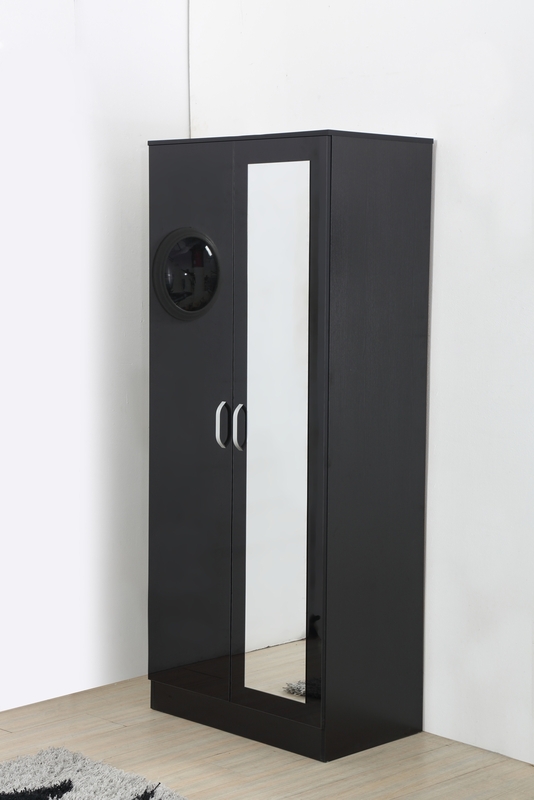 Wardrobe with mirror A 2 door Soft-Close wardrobe. The ultimate function with soft-closing doors, single high hanging rail (perfect for long dresses), top shelf provides extra storage. 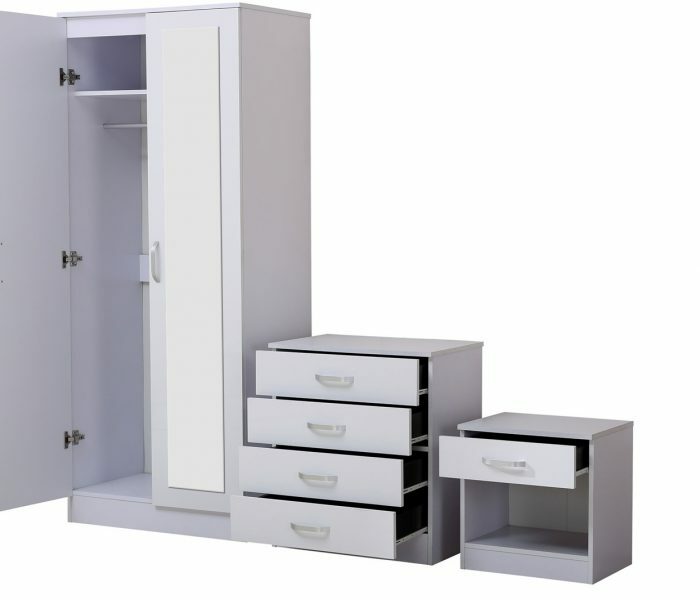 4 Drawer Chest The 4 drawer chest provides you with the storage space that a wardrobe cannot. 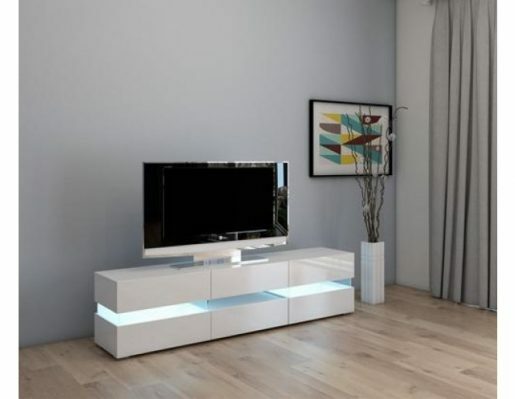 The sturdy individual drawers are in one column of 4. 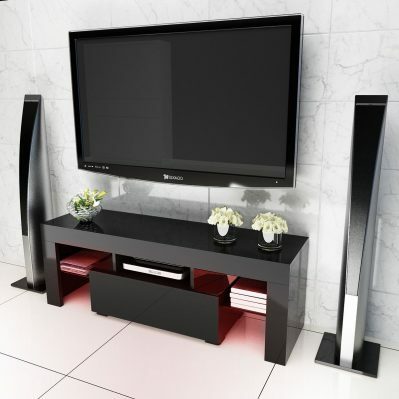 They can take a remarkable amount of weight due to the high strength manufactured wood veneer frame. 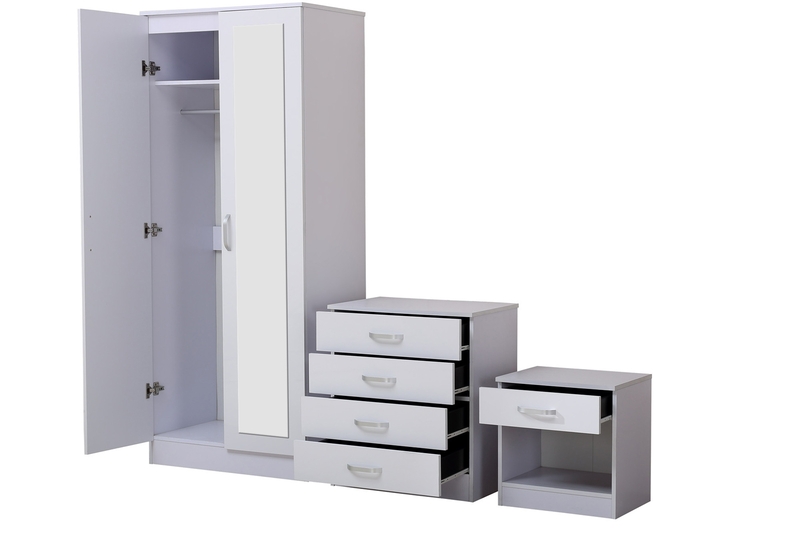 The drawers fit flush and are manufactured to strict conditions which mean they are stable and firm. 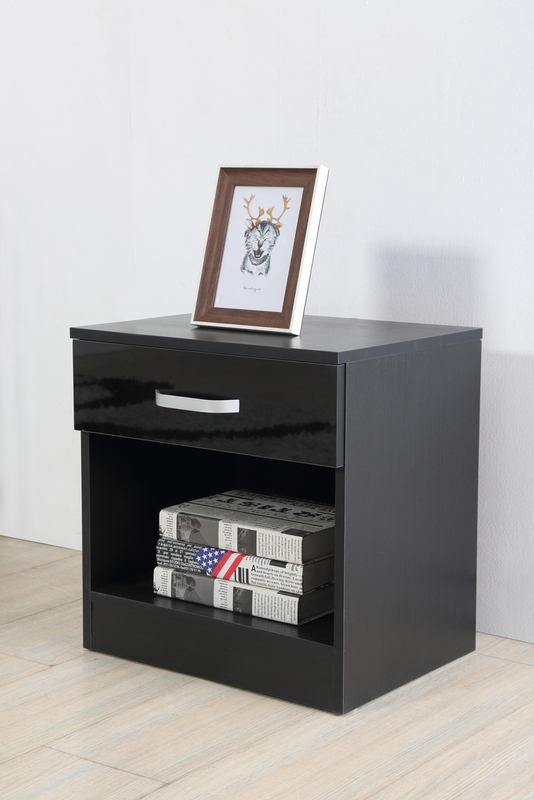 Bedside Cabinet The bedside cabinet has been manufactured with the strength and sturdiness you look for in a chest, whilst the high gloss drawer front gives the piece that finesse that its been longing for. Colour of bed can vary due to different shades and lighting of the picture if not sure please contact us before ordering.